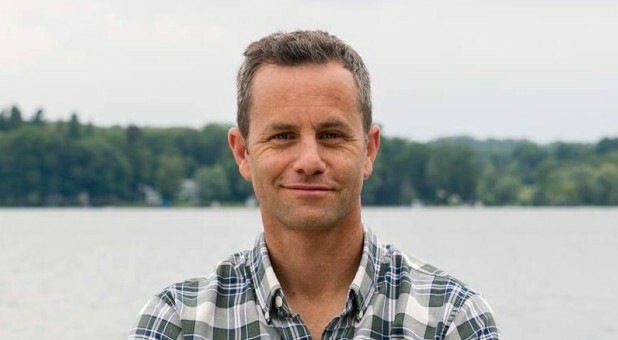 Actor and producer Kirk Cameron is on a mission to encourage and inspire families with positive and uplifting messages. Cameron, who has become a dominant voice for truth, love and the gospel over the past two decades, recently revealed some powerful truths about the importance of establishing and maintaining a healthy marriage. Cameron, star of Fireproof, a marriage-themed film currently streaming on PureFlix.com, said that he believes the movie continues to resonate with audiences a decade after its release due to its timeless approach to helping fix broken relationships. "Nobody wants to fail when it comes to marriage and family ... if things are right in their home, things are right in life," he told PureFlix.com's "Pure Talk," going on to discuss the importance of husbands loving their wives. "I think Fireproof speaks to that core value that God [has] put in us." Cameron said that he is surprised by how Fireproof continues to touch and help transform people's hearts. "It continues to surprise me and astound me the way that God has used that movie in so many people's lives," he said. As for Cameron's own decision to devote his work to helping marriages and families, he pointed back to his personal experience navigating marriage and parenting. Cameron explained that he got engaged to fellow actor Chelsea Noble at the age of 19 and was married just a year later. Twenty-seven years after Noble and Cameron wed, the couple now has six children, and their union is still going strong. "The opportunity to speak from experience on this subject is big because I'm up to my ears in it right now," he said of marriage and child-rearing. As a famous actor who was once an atheist before becoming an outspoken Christian, Cameron now devotes his life and career to projects like uplifting website The Courage and films like Revive Us. Reflecting on his journey, the actor said he is grateful for the path God has placed him on. "I am so glad for the parents I had, for the people who held me up when I struggled—and held me down when I strayed—and for a God who loved me enough to get a hold of me and put me on a higher road," Cameron said.